‘The real emphasis needs to be put on the fact that we still have a major and tragic catastrophe going on,’ says acting Surgeon General Boris Lushniak. WASHINGTON — It’s no secret that smoking causes lung cancer. But what about diabetes, rheumatoid arthritis, erectile dysfunction? Fifty years into the war on smoking, scientists still are adding diseases to the long list of cigarettes’ harms — even as the government struggles to get more people to kick the habit. A new report from the U.S. Surgeon General’s office says the nation is at a crossroads, celebrating decades of progress against the chief preventable killer but not yet poised to finish the job. “The real emphasis needs to be put on the fact that we still have a major and tragic catastrophe going on,” said acting Surgeon General Boris Lushniak. The report, being released Friday, is a dash of cold water after last week’s headlines marking the 50th anniversary of the landmark 1964 surgeon general’s report that launched the anti-smoking movement. Yes, far fewer Americans smoke today — about 18 percent of adults, down from more than 42 percent in 1964. But the government may not meet its goal of dropping that rate to 12 percent by 2020, the new report cautioned. Nearly half a million people will die from smoking-related diseases this year. Each day, more than 3,200 youths smoke their first cigarette. New products such as e-cigarettes, with effects that aren’t yet understood, complicate public health messages. And if current trends continue unabated, 5.6 million of today’s children and teens will go on to die prematurely during adulthood because of smoking, the report found. Remarkably, the report adds more entries to the official list of smoking-caused diseases, including Type 2 diabetes, rheumatoid arthritis, erectile dysfunction, the macular degeneration that can blind older adults, two additional cancers — liver and colorectal — and cleft palate birth defects. “Enough is enough,” said Lushniak. He urged new resolve to end smoking by increasing use of proven tobacco-control measures, including price hikes for cigarettes and expanding comprehensive indoor-smoking bans that he said currently cover about half the population. The report also encourages research into newer ideas, such as whether lowering the amount of addictive nicotine in cigarettes would help people quit. 1964: The surgeon general declares that cigarette smoking increases deaths. 2014: About 20.8 million people in the U.S. have died from smoking-related diseases since then, a toll the report puts at 10 times the number of Americans who have died in all of the nation’s wars combined. Most were smokers or former smokers, but nearly 2.5 million died from heart disease or lung cancer caused by secondhand smoke. 2014: Today, lung cancer is the top cancer killer, and women who smoke have about the same risk of dying from it as men. As smoking has declined, rates of new lung cancer diagnoses are declining nearly 3 percent a year among men and about 1 percent a year among women. 1964: Male smokers were dying of heart disease more than nonsmokers, but the surgeon general stopped short of declaring cigarettes a cause of heart disease. 2014: Today, heart disease actually claims more lives of smokers 35 and older than lung cancer does. Likewise, secondhand smoke is riskier for your heart. Smoke-free laws have been linked to reductions in heart attacks. Friday’s surgeon general report also found that secondhand smoke increases the risk of a stroke. 1964: Smoking in pregnancy results in low-birth-weight babies. 2014: Friday’s report said 100,000 of the smoking-caused deaths over the past 20 years were babies who died of sudden infant death syndrome, or SIDS, or complications from prematurity, low birth weight or other conditions related to parents’ smoking. And it adds cleft palate birth defects to that list of smoking risks to babies. 1964: The more you smoke, the bigger the risk of death. 2014: Smokers are estimated to shorten their life by more than a decade. But stopping can lower that risk; sooner is better. 1964: That first report focused mostly on lung effects and couldn’t prove whether certain other illnesses were caused by smoking. 2014: Doctors now know that smoking impacts nearly every organ of the body, and Friday’s report said medical care for smoking-caused illnesses is costing the country more than $130 billion a year. Add to that lost productivity of more than $150 billion a year. 2014: “The tobacco industry continues to introduce and market new products that establish and maintain nicotine addiction,” Friday’s report says. The percentage of middle and high school students who use electronic or e-cigarettes more than doubled between 2011 and 2012. 1964: That first report called for “remedial actions” to reduce smoking. Warning labels on cigarette packaging started appearing a year later. 2014: With warnings now everywhere, Friday’s report says, “We know that increasing the cost of cigarettes is one of the most powerful interventions we can make.” In 2012, the average price of a pack of cigarettes was $6, largely reflecting an increase in state and federal taxes. 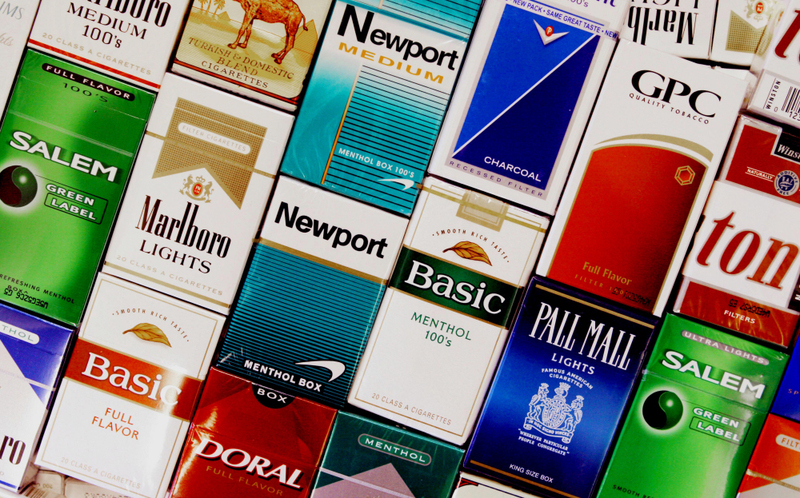 For every 10 percent increase in the price, there’s a 4 percent drop in smoking.